Two teens were arrested and a third suspect fled after leading police on a chase Sunday evening. According to the Kent County Sheriff Department, deputies attempted a traffic stop on a vehicle about 11:17 p.m. Sunday, December 28, on Plainfield Avenue near Woodworth in Plainfield Township. The vehicle had been reported stolen out of the City of Kentwood earlier in the evening. The vehicle fled northbound on Plainfield Avenue and was pursued by deputies to Northland Drive and then continued northbound. The vehicle ran over spike strips, on Wolverine Blvd at Belding Rd, that were deployed by a Rockford City Police Officer. Deputies continued to pursue the vehicle into the city of Rockford and the vehicle became incapacitated due to striking the spike strip. Three male suspects ran from the vehicle on 10 Mile near Courtland and went northbound. A perimeter was set and an Michigan State Police K-9 was used for a track. Two of the three suspects were located approximately 1.5 miles north of the scene and were taken into custody. The third is still outstanding. An 18-year-old male from Wyoming and a 17-year-old male from Kentwood were both lodged on multiple charges. 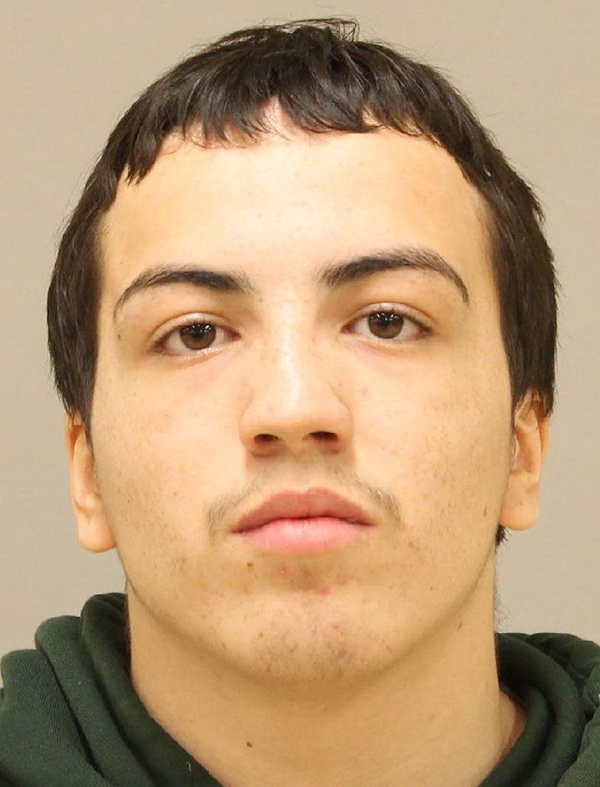 The 18-year-old, Gabriel Jose Cavasos, was arraigned on Tuesday, December 30, and charged with resisting and obstructing a police officer, a probation violation, and with being a habitual offender, second offense. A charge of receiving and concealing stolen property-motor vehicle was dismissed. His bond was set at $2,500 cash surety on the resisting/obstruction charge, and $100,000 on the probation violation. He is still in custody. No info had been released yet at press time on the other suspects.